The Fiji Rugby Union, through its Professional Teams, competes professional elite rugby championships in the Asia/Pacific region. We are the current champions of the Australian National Rugby Championship (NRC) and will be competing in the Global Rapid Rugby Competition from 2019. 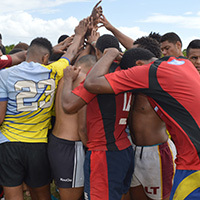 As such, the Fiji Rugby Union is recruiting a dynamic and energetic professional in the role of Program Manager – Professional Teams to lead these Teams to success. The Program Manager – Professional Teams will be responsible for leading and managing the Professional Team management structure under the guidance of the General Manager Rugby, technical leadership of the Head Coach, and within the corporate structure of Fiji Rugby Union. Foster and maintain a high performance team culture where values such as team organization before self; hard work; service to stakeholders; honesty; integrity and achievement are to the fore. Establish effective systems and processes to manage and monitor the Teams’ organizational, corporate and management requirements. 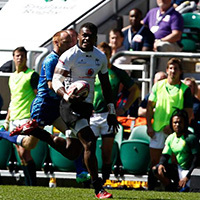 Building, developing and maintaining strategic relationships with key stakeholders where necessary – Union Affiliates, World Rugby, the Fiji Rugby Union and sponsors. 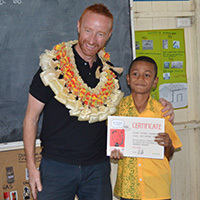 Support wherever possible, Rugby Development, High Performance and pathways of Rugby in Fiji. Above all, the desire to win! Applications will close on 1st February 2019.